Collodion—it's one of those things that you probably never heard of before, but have actually come across many times in life. It's used for all kinds of applications, from photography to special effects, and it even has a few medical uses. So, what exactly is collodion? Collodion is a very flammable clear solution of nirtocellulose that's dissolved in either alcohol or ether. Surgeons use it to hold dressings in place and it's also a common ingredient in wart removers and liquid bandages. When it's painted onto skin, it shrinks as it dries because the alcohol evaporates. This creates a scarred or wrinkled look. 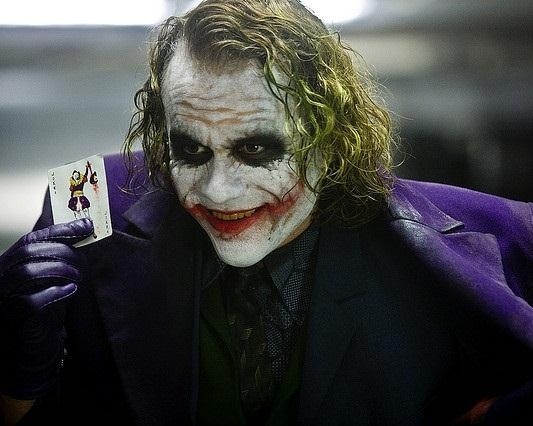 Collodion is also used a lot in stage makeup, like the Joker's in The Dark Knight. The stuff that's dissolved to make collodion is also called "flash paper" or "gun cotton" and is used in magic shows to create a sudden flash of fire. It burns much faster than regular paper and doesn't leave behind any ashes, so it's pretty fun to play with. In photography, it was used for one of the first high-quality duplication methods (negatives) and for a process called wet plate collodion photography. It sounds complicated (and it is), but it basically makes a glass plate act like film and allows an image to be photographed directly onto the glass. 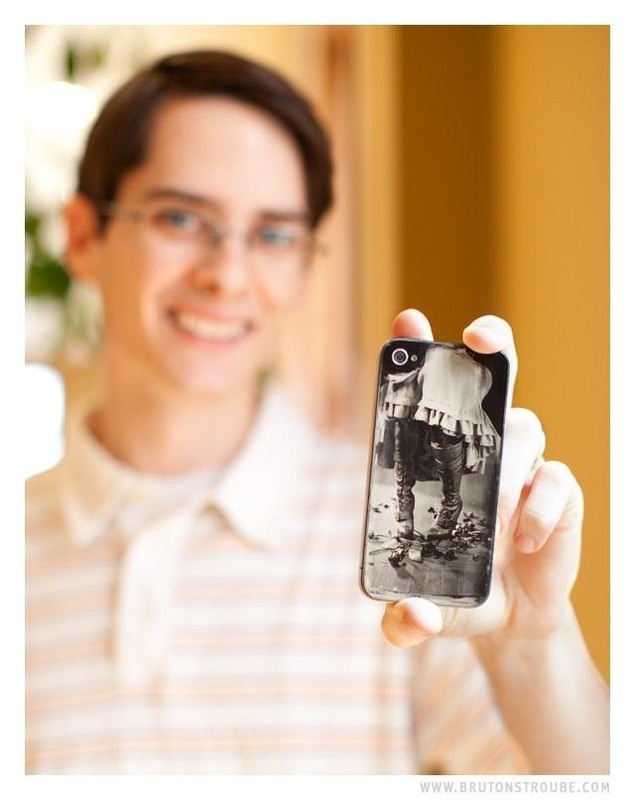 For a more modern application, Jake Potts made a custom iPhone back with wet plate collodion photography. He calls his the "iPlate". "To make an ambrotype, a piece of glass is coated with salted collodion, sensitized, placed into a camera and exposed like a piece of film. Then back in the darkroom, the glass plate is developed, fixed and washed." 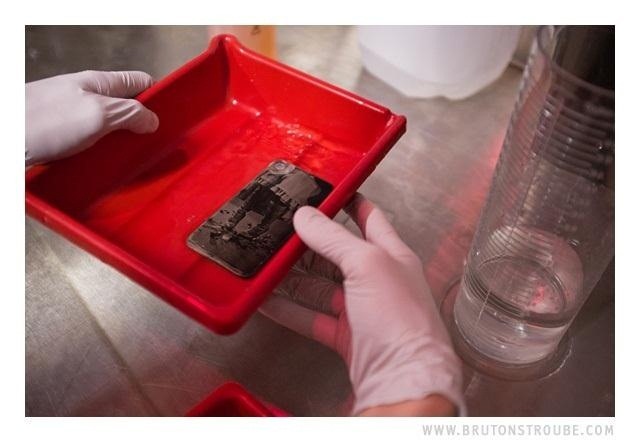 The collodion has to be poured evenly from corner to corner on to the glass plate in order for it to work. Once he did this, he loaded it into the camera (the picture has to be taken and developed before it's dry) and took the shot with a "camera fitted with a lens that dates to 1872." Talk about vintage! Once it developed, he put on a protective varnish and voilà! 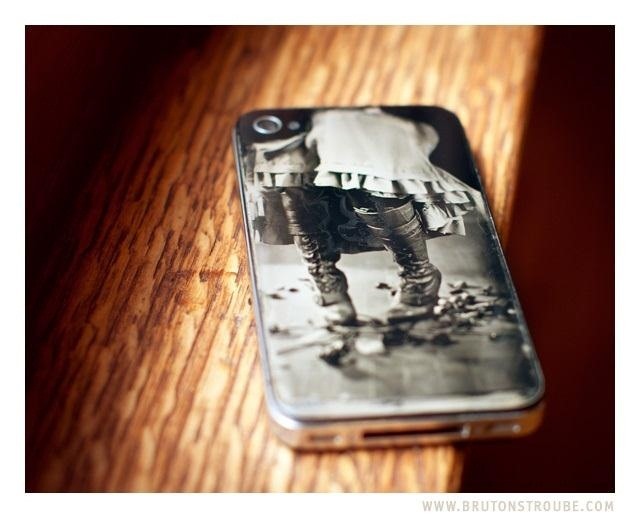 A gorgeous custom iPhone back that's truly one-of-a-kind. Check out Jake's full post on Bruton Stroube to read more about his project and to learn how to do it yourself (if you've got the equipment). 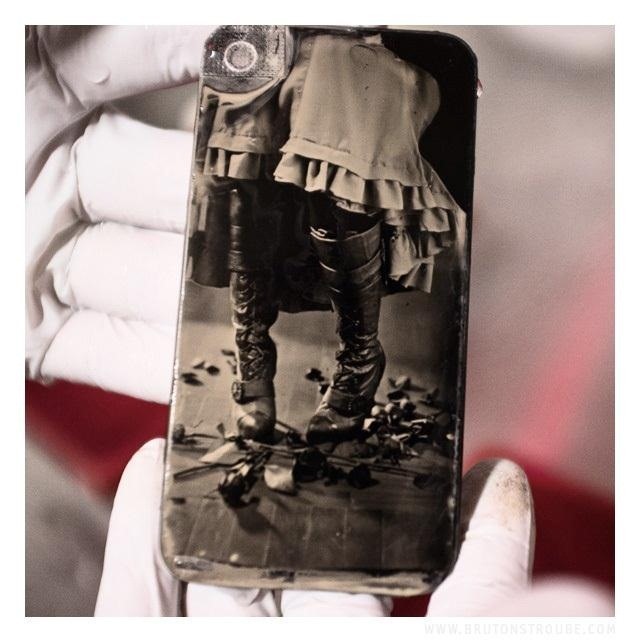 Want to try experimenting with collodion outside of your iPhone? Learn how to take your own wet plate collodion photos or make your own flash paper! 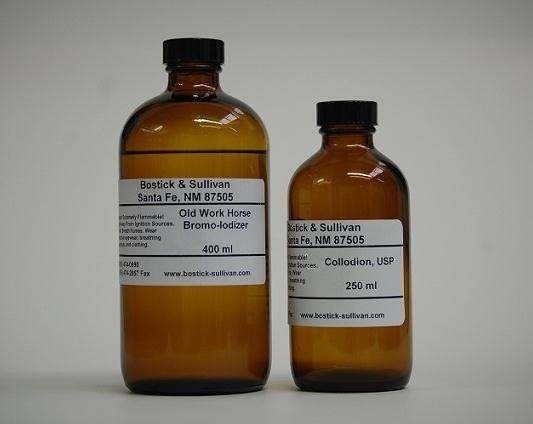 What would you do with a bottle of collodion?